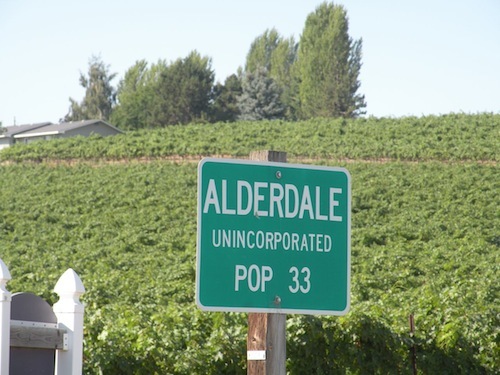 ALDERDALE, Wash. – When you own one of the top vineyards on the West Coast, it has to hurt when you have to tear out one of your oldest blocks of Cabernet Sauvignon. 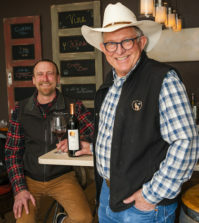 Those vines, planted in 1979, were his second-oldest block and went to such top producers as Quilceda Creek Vintners and Woodward Canyon Winery. In fact, some of the grapes went into Quilceda Creek Cabs that earned perfect 100-point scores from The Wine Advocate. So taking out these 42-year-old vines did make him wince a bit. 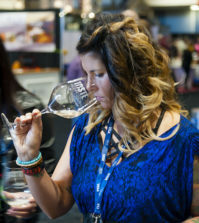 “They had survived four different winter events that were detrimental to their health,” Champoux told Great Northwest Wine. Some of the vines also had leaf roll and other disease issues, he said. Replanting part of the vineyard would have caused uniformity issues with so many vines that were different ages. Champoux Vineyards was first planted in 1972, when it was known as Mercer Ranch Vineyards. 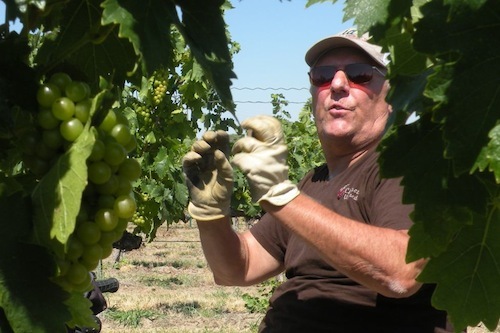 Champoux took over managing the vineyard in 1989 after working as a viticulturist for Ste. Michelle Wine Estates. 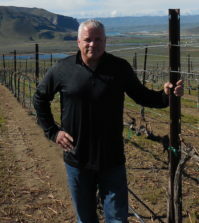 He bought the vineyard in 1996 with four winery partners: Andrew Will, Powers, Quilceda Creek and Woodward Canyon. The cold snap that finally broke the Circle Block happened Nov. 23, 2010. Leading up to the event, temperatures were seasonally normal, with lows around 25 degrees. But then the freeze came, plunging the thermometer to minus-8. The reason this was called the Circle Block was because the vines were irrigated by a center pivot sprinkler. When Champoux replanted, he retained the name for historical context, even though he replaced the center pivot with a dual irrigation system that includes drip and spray. And because he didn’t need the wheel tracks for the center pivot, Champoux was able to regain a bit of ground. In fact, those 28.5 acres became 32 acres when he was finished, meaning he will have gained an additional 10 tons of vaunted Cabernet Sauvignon when the vineyard is at full production. In preparation for replanting, Champoux pulled out all the vines and removed as many of the root systems as he could. Then he worked the soil and prepared it for replanting in 2012. He tightened the row and plant spacing to 4 feet by 10 feet, meaning he was able to put in 1,210 plants per acre. He also planted different clones of Cabernet Sauvignon, which should produce higher-quality grapes. At the same time, Champoux also took out 30 acres of Riesling, which also had been planted in 1979. “The production was going downhill with winter freeze spots in there,” he said. 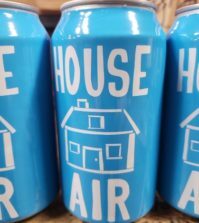 He also pointed out that Riesling brings about $1,000 per ton, while Cabernet Sauvignon can fetch $2,000 per ton – making the decision pretty easy to make from a financial perspective. “It’s not the best place to grow Riesling, but it is a great place to grow reds,” he said. The result: Before replanting, Champoux had 185 acres of vines, 100 of which were Cabernet Sauvignon. Now, he has 189 acres, of which 140 acres are Cabernet Sauvignon. The vines will not produce any grapes this year, he said. In fact, the decisions he makes now will affect the vines for decades to come. Once the vines begin to bear fruit, the winery partners at Champoux Vineyards will have first access to the grapes. What is left will go to other longtime customers, Champoux said. Boldness is a sign of the greats, good for them for making the hard decisions!